A few days ago, I received an email from someone at Toontrack wanting to partner with me as a sponsor and do some advertising on Home Studio Corner. Let me preface this by saying that I like Toontrack. I’ve used EZDrummer for years. Superior Drummer is outstanding, and I’ve heard some songs done with EZKeys that sound really great. That said, I told them I’m not interested. I don’t like with the way they market their EZMix products. I’m all for creating great, innovative new products. I’m certainly all for clever marketing. 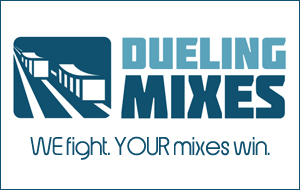 EZMix might be an amazing product, but I believe it’s misleading to imply that using the same presets as a pro mixing engineer will give you pro mixes. What makes a pro a pro is what’s in his head, not what’s on the screen. I’ve personally never used the exact same plugin setting twice. I always tweak things differently based on — wait for it — what the track sounds like in the mix. Developing your ears is a key skill. You can’t shortcut it with trendy products.